Over the past two years, the public saw the car two cars that were created with only one purpose: to honor the legendary Jaguar E-Type. And now to this list, you can add one more car. 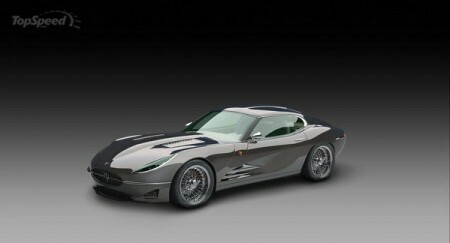 Auto named Lyonheart K created by Robert Palm and Bo Zolland in England. Palm, head of the Classic Factory, said: "We wanted a car wearing the label" made in England. "Each part Lyonheart K designed, developed and assembled by hand here in Britain. The appearance of a car like no other falls under the definition of "English": car an elegant, dynamic, but at the same time, powerful. " Model Lyonheart K - or a full copy of the Jaguar E-Type - is equipped with eight-cylinder V-twin turbocharged engine producing 550 horsepower. This is sufficient to reach the first "hundred" is already in 3.7 seconds. Top speed is limited to 300 km / h.